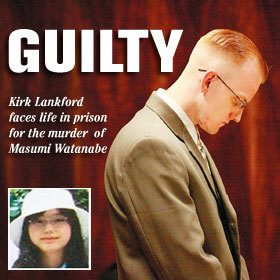 A Circuit Court jury found Kirk Lankford guilty yesterday of the murder of Masumi Watanabe, shown in inset. He now faces a possible life sentence. Legal observers say the jury did not find his story credible.